After years of preparation, he has baited his trap well, luring the depraved members of Society into his devil's playground so he can earn their trust and uncover their secrets. Yet no one in London suspects that Lord Lucien Knight is England's most cunning spy, an officer who has sacrificed his soul for his country. Now an unexpected intruder has invaded his fortress of sin, jeopardizing his carefully laid plans - and igniting his deepest desires. Beautiful, innocent Alice Montague finds herself at the mercy of scandalous Lord Lucien. But as he begins his slow seduction to corrupt her virtue, Alice glimpses a man tormented by his own choices, a man who promises her nothing but his undeniable passion. 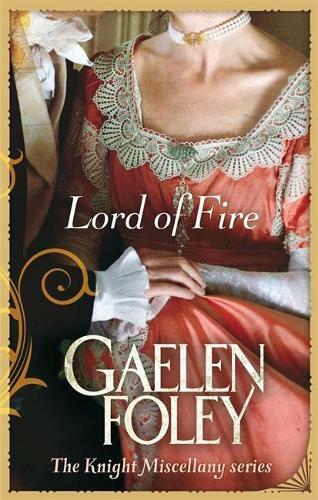 . .
"Foley's talents, like fine wine, only improve with each new book." " Foley's talents, like fine wine, only improve with each new book."